This is my second project as a member of the Fat Quarter Shop's Quilt Along group. 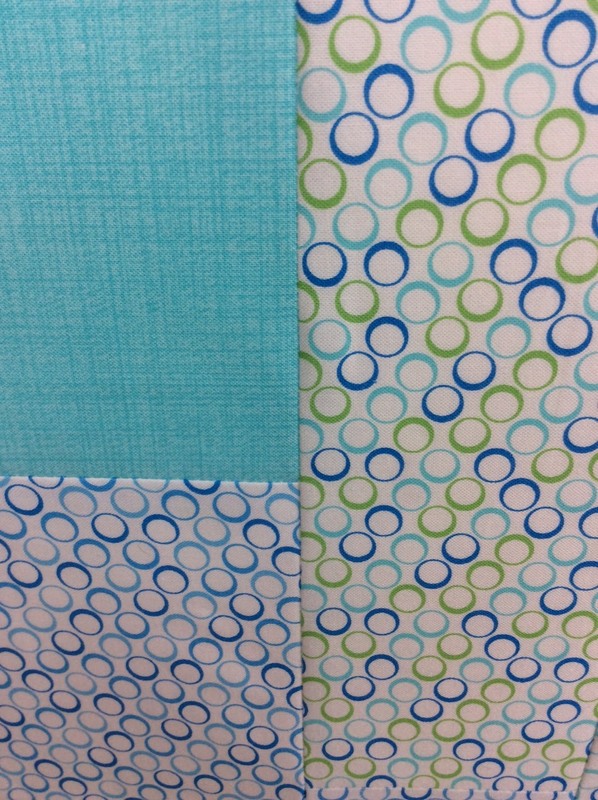 I had the good fortune to work with the Rainy Day fabric line by Me and My Sister Designs. It is beautiful fabric to work with. 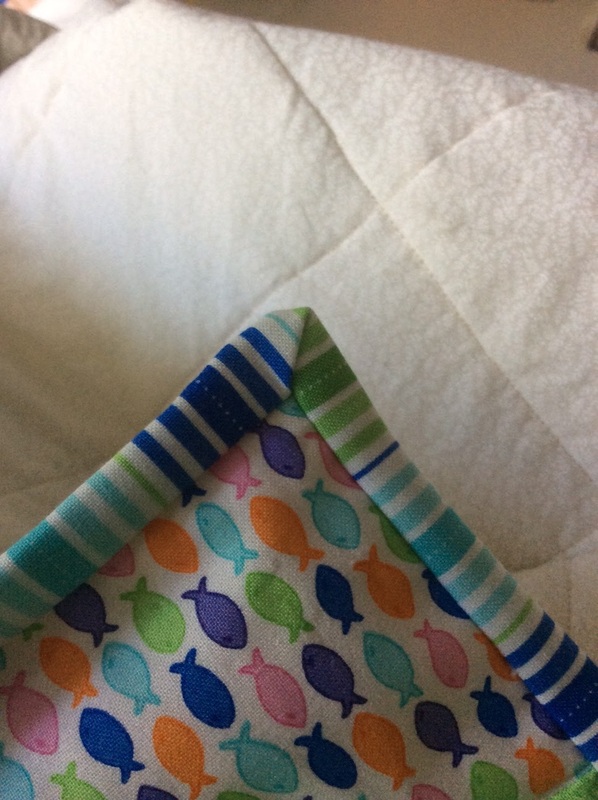 The instructions for this quilt were very simple and the quilt goes together very quickly. At approximately 63" x 80" it finishes somewhat larger than the quilts I normally work on. I quilted it on a grid pattern using my new Janome Horizon sewing machine and a walking foot. I am still a little intimidated by the machine. For instructions to complete your own Cobblestone Quilt be certain to visit the Fat Quarter Shop (here)and while you are there take a look at their Clementine Charity Quilt Along for 2018. They have posted the blocks (here). 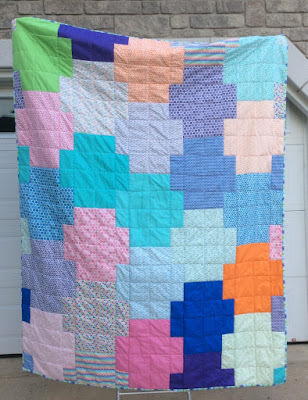 This is a charity focused Quilt along where participants are asked for a voluntary donation per block with proceeds going to St. Jude's Children's Research Hospital. There are some subtle colour differences in the blocks. You can some differences here. 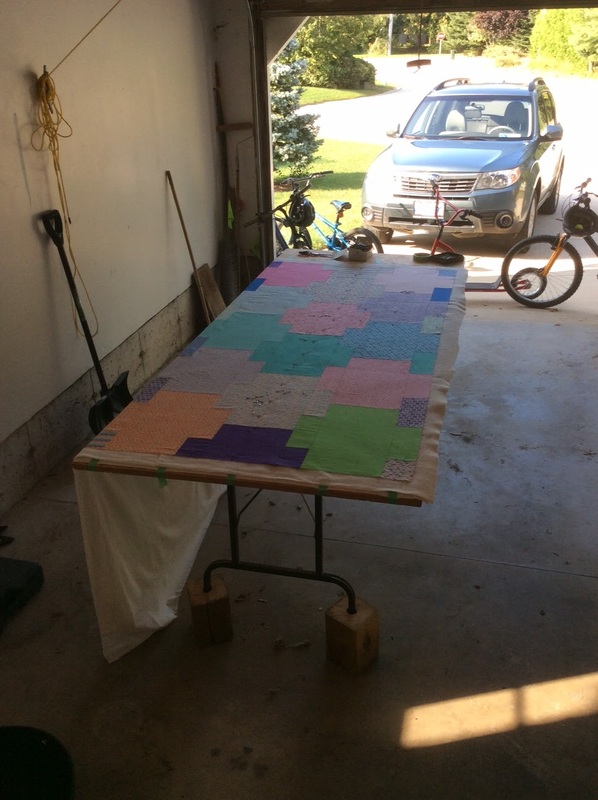 While the weather was still good we set up my pinning table in the garage. The table is going back to the basement this weekend when we have company here to help with the lifting. I used one of the striped fabrics from the fabric line for my binding. I do love a striped binding. I hope everyone celebrating Thanksgiving this weekend has a wonderful time with food, family and some fun. Our grandson's will be here so that will keep us on our toes. Mystery Quilt 4 patch navy and brights 49" x 49"